As a complement to our perennial and popular special reports — “People To Watch” (newsworthy creatives) and “Students To Watch” (rising graduates of note) and “Educators To Watch” (influential teachers) — we have added an annual “Responsible Designers To Watch” to the editorial mix. Growing organically out of our longtime “green design” coverage, we are responding to the fact that more and more designers are embracing responsibility writ large in terms of how sustainably they create and produce and print and deliver, yes, but also much more broadly how, when, why and for whom they work. The common thread is that these are creative leaders using design principles, talents and skills to make the world a better place as they see it. And, in 2018, it is especially fascinating since it is all happening against the backdrop of a raw and undeniable hunger for change emanating from left and right and all points in between. 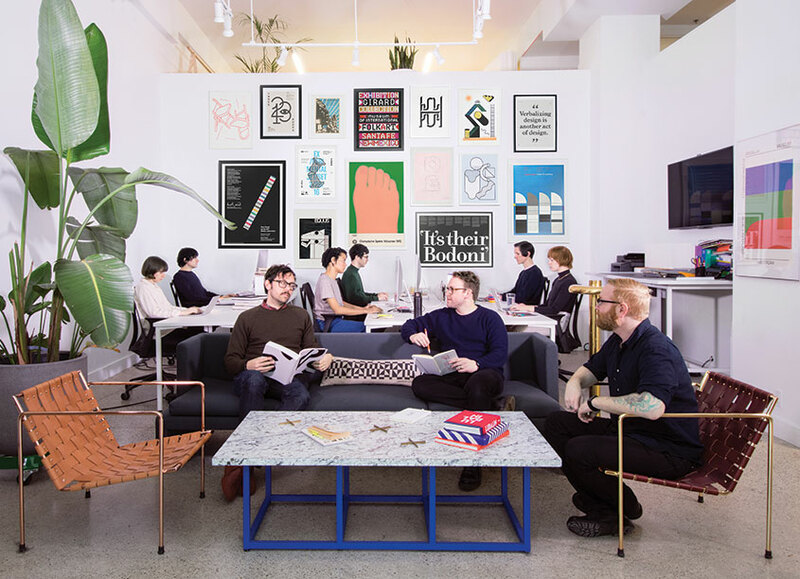 This feature, and these developments, dovetail nicely with our own 55 year effort to praise and elevate graphic design as a valuable tool for shaping commerce and culture. Domtar is the exclusive sponsor of the “Responsible Designers To Watch” feature and, appropriately, the text of the October 2018 print edition of GDUSA is printed on Cougar® 70 lb. Text, Smooth Finish. Renowned for its velvety surface, Cougar is the premium paper that amplifies a brand’s passion, personality and purpose. Long trusted by the creative and print communities alike, Cougar gives you the power to transform your best ideas into visually stunning printed pieces with vibrant color, sharp images and consistent press performance. In addition, the printers and creatives who print on Cougar have helped Domtar donate hundreds of thousands of dollars to the World Wildlife Fund. This partnership communicates that Domtar understands the value of biodiversity, sustainability and equality. Request a copy of Domtar’s latest Cougar Luxury Within Reach promotion.